The best free fruit game comes to Android! The BEST FRUIT juicy game on MarketPlace, and it's FREE! Slice fruit by your finger, and enjoy fruit juice! 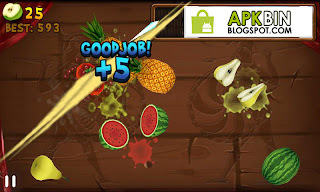 0 Komentar untuk "Fruit Slice v1.3.4 Apk"